Should I Play Early Access Games Now or Wait Until Their Full Release? Coop – I love the idea of Early Access. It’s great for developers who want to work that way, however, I can’t help but think that it delays launch dates, and I’d rather just play the finished game. Sometimes we get so excited for a release that we can’t wait to get your hands on it. Anymore, I don’t really want to ruin the experience of the game by playing a version of it too early. Justin – It’s the Early Access games that appear to be fundraising during development that worry me. Those games never seem to have an end in mind. For better and for worse for the developer and fans. Those developers also do a poor job of communicating how far off the final game is. 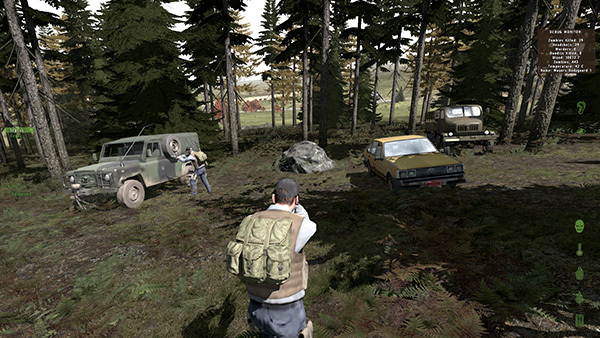 Like DayZ is still 2 years away. Yet the designer has moved on to other projects. Aaron – Buying games already has an element of being a gamble, somewhat mitigated by your personal tastes, developer history and word of mouth. Early Access adds another layer to that by allowing a game to be transparently incomplete. If an EA (heh) title really speaks to my likes, then I’ll gladly support it and buy ahead of launch. Incentives such as final price discounts or heavy developer feedback makes the risk hurt less. Nuclear Throne has been my favorite example of buying EA thus far, with its available weekly streams and launching the game weeks later to see what’s different. I don’t mind trying out prototypes and I’ll gladly revisit a game like that upon its completion. Justin – EA title. You are fantastic. Aaron – It’s in the game. I’m sure Vlambeer appreciates being called an EA game. 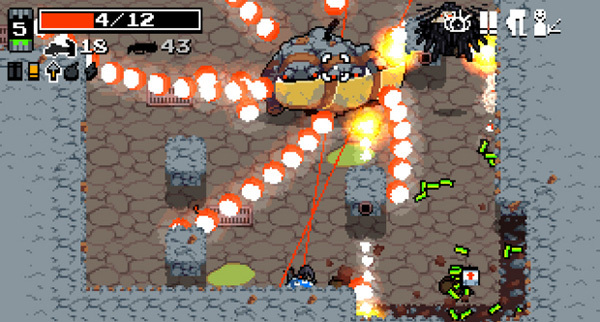 Justin – Nuclear Throne is doing it right, man. I’m getting my money’s worth just from being involved in the development experience. I feel like I paid as much for that as I did for the game, so I don’t really care how the final product turns out. I’ve already gotten my money’s worth. Coop – I think arcade style games like Nuclear Throne and Broforce work better for early access because you don’t notice as many of the missing elements. They’re easier to get to a playable state for someone to enjoy. I played 7 Days to Die and was spawned in the middle of a forest with no resources. All I could do was run and dodge zombies. I was trying to figure out if that was really all there was to the game, or if I was stuck in a bug. Either way, it wasn’t fun and I haven’t touched it since. The more transparent a developer is about their plans for EA, the more likely I am to jump in. But if I don’t know anything about them as developers or where their game is going outside of its short description, I’m hesitating a lot more these days on buying in than I was when EA was just getting started. Which is why I laugh at people who are upset about Godus. 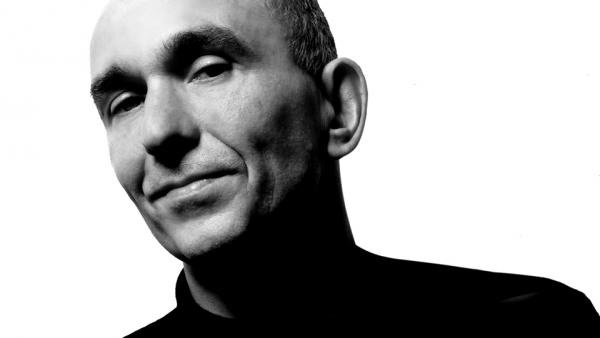 If you let Peter Molyneux surprise you at this point, that’s your fault, and you also don’t get to give death threats to his family and drive him away from giving interviews. Cuz the man still has great ideas and is fascinating. He just can’t work with modern game developers haha. Jason – For me there are a number of reasons why I like early access titles. 1) The name itself; early access. I like the idea of getting in on the ground floor of something that could potentially be very popular when it (eventually) comes out. It’s almost like a clique, but a little more friendly. 2) The possibility of helping a developer iron out bugs, and during that process, potentially get some of your own ideas placed within the gameplay. This of course all depends on how community-oriented the developer is with their audience. Some are better than others. 3) Another thing that really excites me about early access is the possibility of paying a lot less for a game that has the possibility of having a high cost once it is officially released. This is very much a gamble for the consumer, but if you play your cards right not only will you be getting into a game on the ground floor but ultimately your pocketbook won’t be taking as much as a hit for you to play the games you like. There is usually a very long waiting period before you get any access to the game and the timing of that depends on how much you are willing to pay. 4) There’s also a huge variety of unique games that major developers don’t have the time or gumption to tackle. Overall, I think it’s ultimately up to the playing style and connective nature of the gaming consumer to decide how deep they want to get into early access titles. What was once an effort of wading through hours of Kickstarter pages has gone more mainstream with the implementation of early access and Greenlit titles on Steam. Good times. Is the ending ready yet? 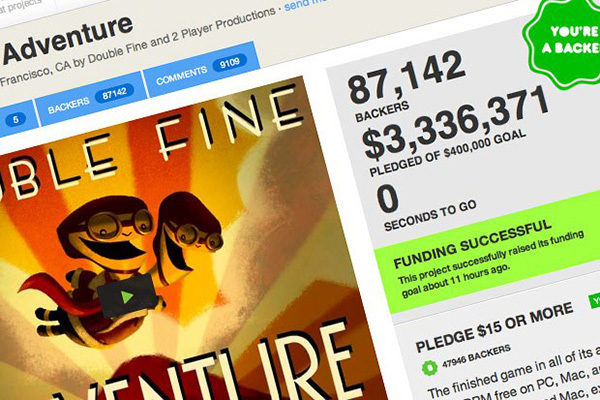 Justin – My original draw was when Double Fine went crazy on Kickstarter with their adventure game. Between that and Mighty No. 9, I really did feel like I was a part of something special. I dig that feeling. A few years out though, it’s hard to get me that excited unless it’s a game from a well known developer that I really want to help in general or something specific about their game concept blew me away and I want to help them achieve that goal. However, with Kickstarter especially, I go in with little expectations of the final product. It’s all a gamble, and I find those situations easier to approach with lowered expectations. It makes the surprises more impactful, too. I do dig the variety and riskiness of early access games, and I feel like I’m finding out a lot more about upcoming games. I’m more apt to add them to my wishlist and check up on them after a full release. Even with that though, I tend to not remember the game by the time it actually comes out, so that’s a bummer. When I buy an EA game though, I’ll still only play it a little bit at first, and then I want to come back an experience the full thing. Unfortunately, I rarely come back if that initial experience isn’t awesome, which is a lot to ask of an EA game. The pricing thing though, JPT. Justin – I’ve been burned by paying more up front and the game actually being cheaper later or even free-to-play. So that gamble is an interesting one. I know you probably have examples of games that have worked out for you in that way. But I can’t think of one that stands out as major savings? Jason – I feel that. But I do understand that sometimes you pay a higher “penalty” to gain access to something before everyone else. Again, risk and reward. And sometimes it involves your pocketbook. 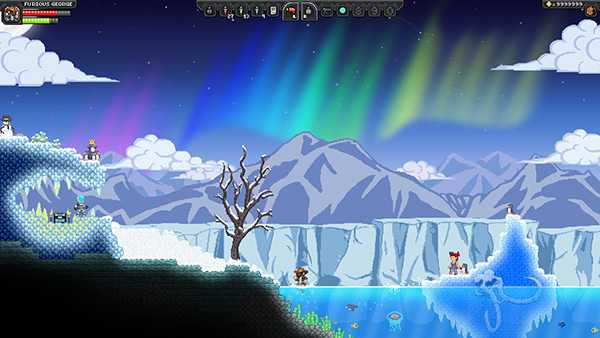 I find it interesting that Starbound finally had a discount on their game and they only chose to do that when they actually had a major update to show people. Planetary exploration never really ends either. Justin – Yeah, I normally just associate EA games with that “penalty” and I’m trying to find some counter-examples to change my perception. Jason – I can’t think of any game that I’ve EA’d on yet that has been worth the early gamble as most of these games are still in development. Justin – Gotcha, it’s definitely still possible. You bought Starbound a long time ago, you don’t feel a bit cheated? Jason – No, I don’t feel cheated at all. I’ve gotten a lot of hours poured into that game. (49 episodes of content) And I’m one to look back and appreciate the development arc because there has been actual progress on the title. I feel like I’ve been a part of it mostly due to the fact that I was playing the nightly builds that they were pushing out and joining in IRC conversations with the developers that next day. Not every developer is like that, though. I think it’s important for developers to show that there is something happening behind the scenes. Whether that is through actual consistent updates (which could very easily introduce bugs) or connect through message boards or social media. Most of the games I’ve been following have been very good about that. I’ve been very lucky so far. Justin – I hope they are all learning that lesson. Hopefully the phase of “fund my game through Early Access” is going away. Jason – Shall I bring up Spacebase DF-9? ;) “We’re not going to continue working on this, but here’s the code… you can do it!” A silver lining, I guess. Justin – That’s what I mean, there are some major examples out there now from even established developers. The lesson is don’t make promises based on your assumed success, Peter. You saw this coming, too.